We are so thankful to these businesses who have believed in us from our start up and who have a passion for military families. If you would like to become a corporate sponsor please me Jacqueline@thegeneralskids.org for more information. Since 1976, Moseley Electronics has been Central Virginia's choice for residential & commercial electronics. We offer a complete line of electronic systems for your new or existing home or business. From the highest quality cabling to a "state of the art" custom Home Theater we handle it all. Our mission is to provide a simplified and reliable electronics system for your home or business at a reasonable, honest price backed by excellent customer service. We are a BBB Accredited Business with an A+ Rating and a member of the National Veteran-Owned Business Association. 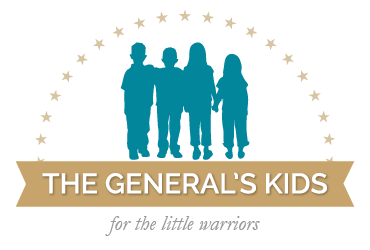 My decision to support The General's Kids was an easy one - as a U.S. Army Veteran of both Operation Enduring Freedom and Iraqi Freedom I have seen how traumatic it is for little warriors to have a parent wounded in the line of duty. Every employee here is proud and honored to support a charity that does so much for our Nation's Veterans and their families.